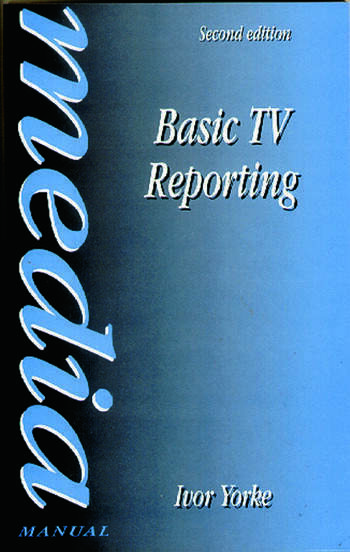 Basic TV Reporting is a practical, easy to read guide to the skills needed to become a successful television reporter - arguably the most demanding and glamorous job in journalism. The book describes the role in detail, how reporters fit into the editorial team and where their duties begin and end. The late Ivor Yorke has enjoyed a wealth of experience to pass on to aspiring broadcast journalists, having spent more than 20 years as a writer, reporter, producer and editor, before becoming Head of Journalist Training, BBC News and Current Affairs. He was also a freelance training consultant. He is the author of Television News (now in its third edition) and co-author with the late Bernard Hesketh of An Introduction to ENG, also published by Focal Press. the gin, and stick to the tonic') and delightfully easy to read.' British Journal of Educational Technology.